Refresh your backyard with the Outdoor Wicker Collection.Add extra comfort and style to your porch or patio with the Wicker Patio Loveseat. Made of durable Aluminium Frame, it's perfect for use all season long. The beautiful woven design has an upscale look and feel, making this loveseat a beautiful addition to your patio. Refresh your backyard with the Outdoor Wicker Collection. 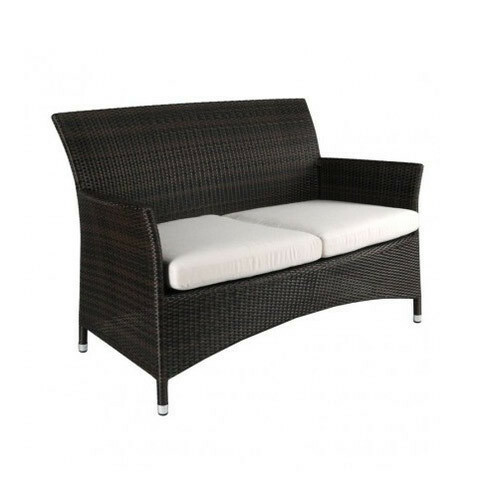 Add extra comfort and style to your porch or patio with the Wicker Patio Loveseat. Made of durable Aluminium Frame, it's perfect for use all season long. The beautiful woven design has an upscale look and feel, making this loveseat a beautiful addition to your patio.